PM/PC has been a Member in Good Standing with the Cincinnati USA Regional Chamber since 2011. Each year, our leadership team attends events and seminars hosted by the Chamber in order to further our deep connections with Cincinnati and surrounding areas. Tracy, as well as other PM/PC staff members, have been recognized numerous times at Cincinnati USA Regional Chamber events and award ceremonies. The purpose of the Chamber is to grow our economy and community, stimulating opportunities for everyone. They do this through government advocacy, economic development, business programs, and festivals and events. 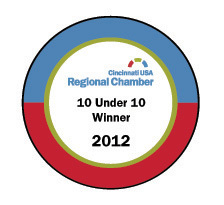 PM/PC Direct, Inc. of Mason was honored in May 2012 by the Cincinnati USA Regional Chamber as being one of the best 10 Under 10 companies in the region. It is a unique and prestigious award given to only a select few local companies who have fewer than ten employees. The Cincinnati USA Regional Chamber is the nation's fifth largest Chamber, representing the interests of nearly 5,000 member businesses. Since 2012, PM/PC’s staff has grown from less than ten, to a total of 18. 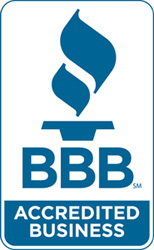 PM/PC has been a Better Business Bureau Accredited Business since June of 2011. PM/PC also holds an A+ rating with the BBB for no complaints and length of operation. BBB has determined that PM/PC Direct Inc. meets BBB accreditation standards, which include a commitment to make a good faith effort to resolve any consumer complaints. BBB accreditation does not mean that the business' products or services have been evaluated or endorsed by BBB, or that BBB has made a determination as to the business' product quality or competency in performing services. 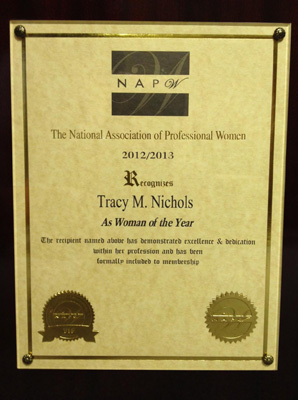 In 2012, Tracy Nichols was awarded the 2012/2013 Woman of the Year Award through the National Association of Professional Women. The NAPW VIP Woman of the Year Award Program recognizes outstanding professional woman throughout the country. Each year, the NAPW identifies women that they believe have achieved exceptional success in their local community and business category. This NAPW Award Program focuses on enhancement, empowerment and promotion of professional women. Winners are determined based on the information gathered both internally by the NAPW and data provided by third parties. NAPW is an exclusive network for professional women to connect, learn and inspire. These “VIP Women of the Year” were selected in recognition of the strides they have made in their respective industries, their outstanding leadership, their professional achievements, and for displaying the highest level of support of NAPW’s commitment to networking and community involvement. These outstanding women are reflective of the dynamic and highly inclusive membership in what is the fastest growing professional women’s association in the nation. Since 2011, Tracy and PM/PC have been members of our local chapter of the National Association of Women in Construction. In 1953 NAWIC was founded as a support network, based on the notion that women represented just a small fraction of the construction industry. Today, NAWIC offers members opportunities for leadership training, education, networking, and professional development. Our leadership believes that memberships and participation in organizations such as NAWIC is integral to the foundation of our woman-owned business. In June of 2013, PM/PC Direct was accepted into the Project Management Institute’s Registered Consultant Program. 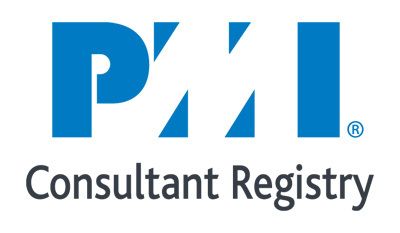 The Project Management Institute’s (PMI) Registered Consultant Program is an online resource that provides organizations with the convenience of accessing a PMI-maintained list of consulting firms that are able to improve their project, program, and portfolio management practices. As more organizations adopt project management as a strategic asset for achieving business results, many are seeking the advice of consultants to enhance their project management capabilities. While always following the PMI Principals and staying up to date on industry technologies, we at PM/PC believe that aligning ourselves with The Project Management Institute, and like-affiliates, will allow us to further diversify our client base; while continuing our focus on our current clients. LEAD Cincinnati is a publication for business executives produced by the publishers of Venue Magazine. Their core value as a publication is to highlight local leaders who make our community a better place through leadership and influence. Tracy Nichols, President of PM/PC Direct, was featured in the Fall 2014 issue. The four-page article touches on her leadership role within PM/PC as well as our distinctive philanthropic arm, Hug the World Foundation. Read the interview Q&A here! Our many repeat customers choose to work with PM/PC Direct, Inc. for the strategic quality, and overall value of our work. But there is also another reason to work with us: PM/PC is proudly certified as a Women’s Business Enterprise by the Ohio River Valley Women’s Business Council (ORV~WBC), a regional certifying partner of the Women’s Business Enterprise National Council (WBENC). WBENC is the largest third-party certifier of businesses owned, controlled, and operated by women in the United States. WBENC, a national 501(c)(3) non-profit, partners with 14 Regional Partner Organizations to provide its world class standard of certification to women-owned businesses throughout the country. WBENC's national standard of certification implemented by the ORV~WBC is a meticulous process including an in-depth review of the business and a site inspection. The certification process is designed to confirm the business is at least 51% owned, operated and controlled by a woman or women. By including women-owned businesses among their vendors, corporations and government agencies demonstrate their commitment to fostering diversity and the continued development of their supplier/vendor diversity programs. If your company or agency hires WBEs, you will be pleased to learn that you can get the same excellent results that we’re known for – and fulfill your diversity needs at the same time. Click to view the Certification! Both in 2013 and 2014, PM/PC Direct was recognized at the Cincinnati Business Courier’s annual Fast 55 awards luncheon. This premier Greater Cincinnati event recognizes the 17-county region’s fastest growing private companies. Award criteria is based on revenue growth and number of employees over a three year period. Tracy Nichols proudly accepted these awards at the Hyatt Regency downtown in the presence of our entire PM/PC staff as well as hundreds of local Cincinnati area businesses.